This 21-day accommodated self-drive tour is for those wanting to experience the best of South Africa in three weeks. The tour starts in Johannesburg travels along the Panorama Route (Blyde River Canyon, God´s Window and Bourke´s Luck Potholes) to the Kruger National Park. From there you will travel through Swaziland to the East Coast and then on to Durban. 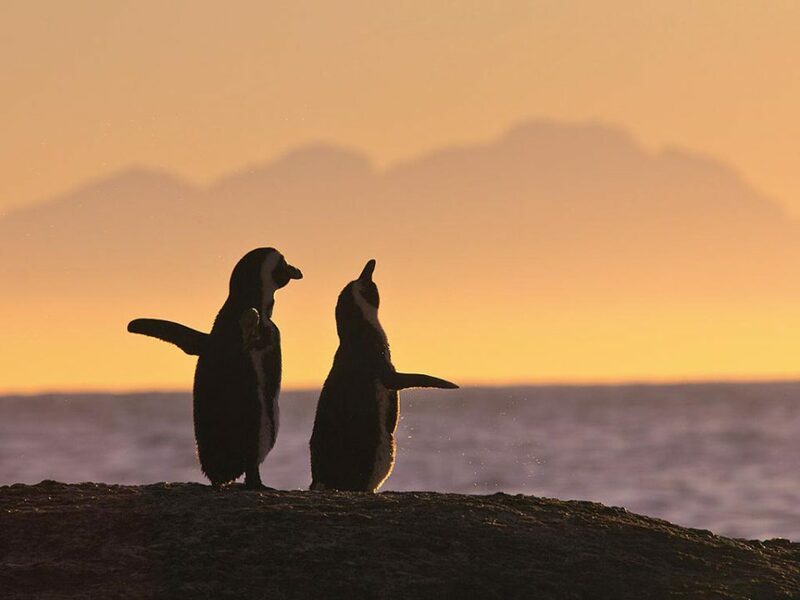 Fly from Durban to Port Elizabeth and continue your trip along the beautiful Garden Route, exploring the Tsitsikamma National Park, Knysna and the Little Karoo and you will go whale-watching in Hermanus, with your final destination, Cape Town, where you will spend three nights. 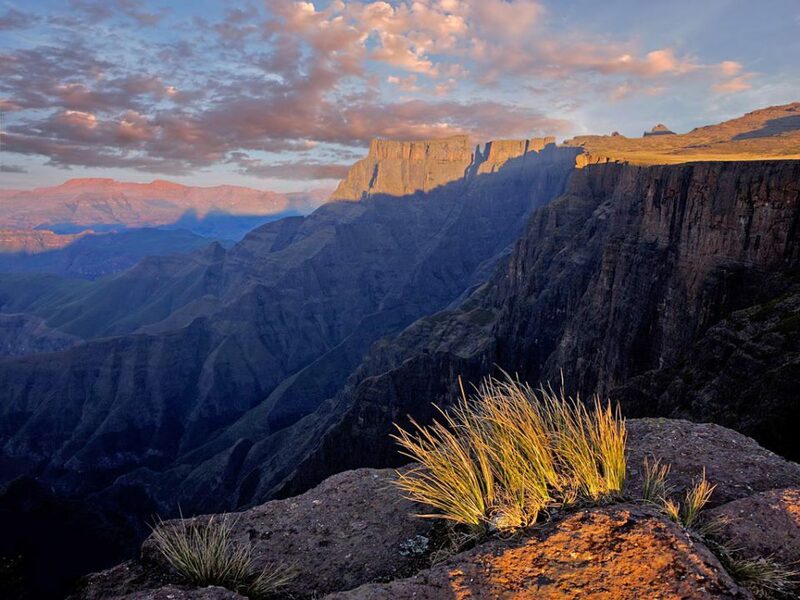 Instead of huge impersonal hotels we offer you owner-managed guesthouses and private lodges. We have visited all the selected lodges, guesthouses and camps to ensure unique and personable accommodation. After your arrival at OR Tambo Airport, you pick up your rental car and drive to Brooks Cottagein Pretoria. The rest of the day is free to explore Pretoria or just to relax after the flight. Rest in the garden or take a dip in the pool or do some shopping for the trip ahead. Shops and restaurants are within walking distance. Drive through the provinces of Gauteng and Mpumalanga in a northerly direction. You will pass beautiful towns such as Dullstroom, Lydenburg and Ohrigstad before you head over the Abel Erasmus Pass to Hoedspruit. Your accommodation for the next two nights is Blyde River Wilderness Lodge. The lodge is a good base to explore the private game reserves around Hoedspruit and to experience the breath-taking Panorama Route. Stop by Blyde River Canyon, God’s Window and Bourke’s Luck Potholes and drive to Graskop to see weavers, browse for curios in the small shops and have lunch. You will enter the Kruger National Park at the Orpen Gate (one hour from Hoedspruit) and drive in a northerly direction to the Olifants Rest Camp, where you will overnight in one of the bungalows. The following days you will spend self-drive game viewing in the park. 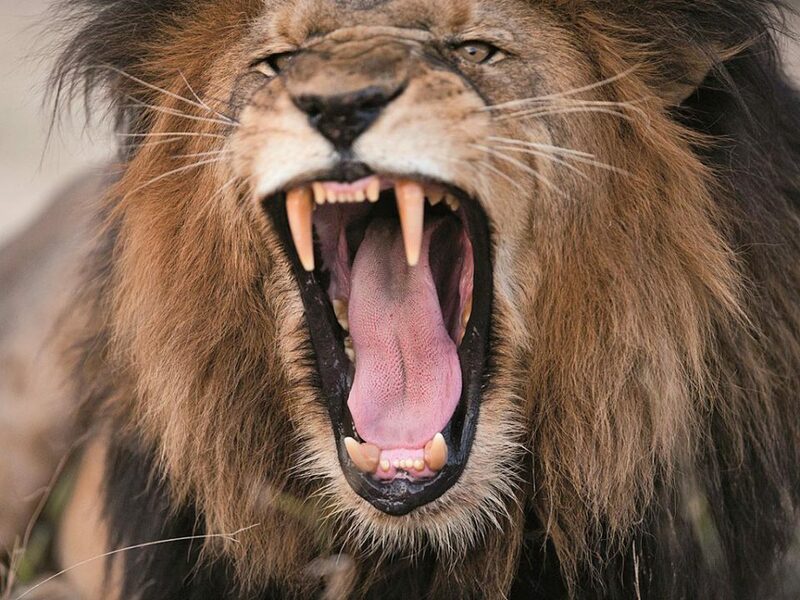 The ‘Kruger’ is a ‘Big Five’ reserve and you might be lucky to see all five – rhino, elephant, lion, leopard and the temperamental buffalo. The 'Big Six‘ birds of the park lappet faced vulture, martial eagle, saddle billed stork, kori bustard and ground hornbill as well as the nocturnal Pel’s fishing owl. You will spend the second night at Skukuza and the third night at Lower Sabie Rest Camp, both located on the Sabie River. You have the possibility of booking night game drives (in order to see the nocturnal animals) as well as guided bush walks at all the rest camps. Please note: In high season or school holidays some camps mentioned may fully booked. In this case we would consult you before booking alternative. You exit the Kruger National Park through the Crocodile Bridge Gate and cross the border to Swaziland. You pass Manzini and travel via Big Bend to Lavumisa border to return to South Africa. You are now in the Kwa-Zulu Natal province (KZN) and will continue to the town of St Lucia, near the iSimangaliso Wetland Park. St. Lucia offers many activities; go on a boat trip on the estuary to see hippos and crocodiles up close, go on forest walks or relax at the beach. Drive through the wetland park to Cape Vidal to go snorkelling and swimming in the rock pools or book a guided game-drive in the park. The area is also a paradise for bird enthusiasts as many hundred bird species can be spotted. You will overnight for two nights at the St. Lucia Wetlands Guesthouse. You start the day early for full day excursion to the Hluhluwe-Imfolozi Game Reserve. After a short drive past forests and sugar plantations, you reach KZN’s only ‘Big Five’ game reserve. Thanks to the breeding programme the game reserve is home to black and white rhino; here you have a good chance of seeing both these endangered species. In addition to rhinos you will also find elephants, buffalos, lions and leopards here. In the evening you will return to the St. Lucia Wetlands Guesthouse. Your next destination is Durban, the busiest trading centre on the Indian Ocean. Durban has South Africa’s largest Indian population which adds to the cosmopolitan feel of the city. A trip to the spice market is worthwhile for the sights, sounds and aromatic smells. Other attractions are the uShaka Marine World (the aquarium is a ‘must’), the botanic gardens (see the orchid room) and the muti market, if you dare.. You will overnight at the Fairlight Beach House in Umdloti - just 19km north of Durban and across the road from the Indian Ocean. Consider one of the seafood restaurants near Fairlight for supper (optional). Around midday, after returning your rental car to Durban’s King Shaka International Airport, you board your flight to Port Elizabeth. Here you will pick up another rental car and make your way to the Beach Walk Guesthouse a few meters from Hobie Beach, a Blue Flag beach. A shopping mall with casino and restaurants is about 300m from the guesthouse. After breakfast you will travel westwards - stop for a swim at Jeffrey’s Bay or do forest ziplining near the Storm’s River bridge. Your destination is the Tsitsikamma National Park well-known as the starting point of the famous ’Otter Trail’. The park is also a paradise for bird enthusiasts and lovers of dramatic coastlines. You will stay in the Storms River Mouth Rest Camp (chalet or oceanette) with views over the ocean. From here you can hike the first few kilometres of the Otter trail, go kayaking, walk the suspension bridge over the river or just explore the rock pools. Breakfast, lunch and dinner are available at the restaurant in the rest camp. If you prefer self-catering, this option is also available to you. The chalets have cooking and barbecue facilities. You travel along the picturesque R102 before turning off onto the N2 to see the Bloukrans Bridge, the highest single-span bridge in the world. Enjoy the fantastic view from the bridge and bungee jump if you dare. Later you continue your journey via the beautiful town of Plettenberg Bay to Knysna, a town famous for its wood industry and oyster farming. The next day is at leisure. Drive to the viewpoint on Knysna Heads, go for a boat trip on the lagoon, go swimming, join a township tour or go walking or cycling in the forest. You will overnight for two nights at Stannards Guest Lodge. From Knysna your journey takes you via George and over the dramatic Outeniqua Pass to Oudtshoorn, famous for ostrich farming and the Cango Caves Visit the caves to explore the underground halls and caverns. 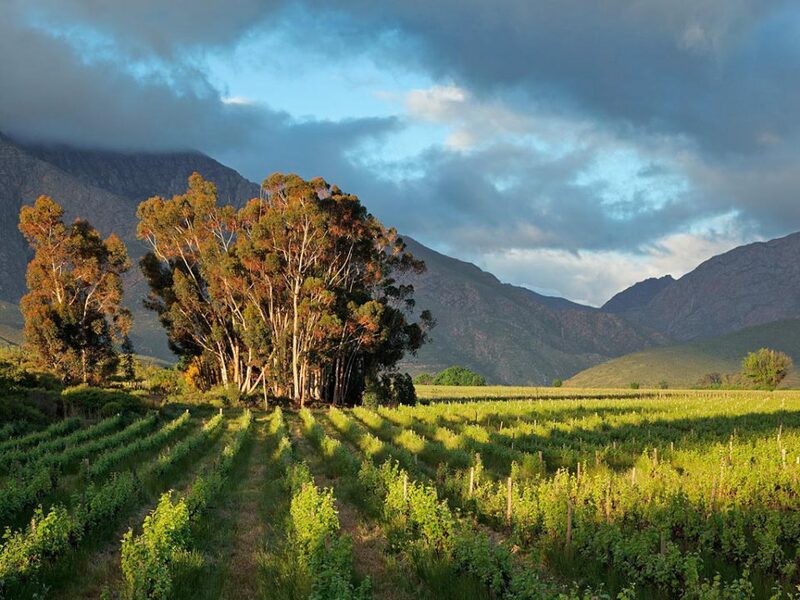 You may also want to drive up the Swartberg pass (continue past the Cango Caves) – not for the fainthearted. You will overnight in a standard room at the De Zeekoe Guest Farm. Have dinner at their restaurant or book a meerkat encounter (optional). Driving along Route 62 you will pass Calitzdorp, Ladismith and quiant Montagu before arriving in Hermanus, whale watching capital of the world, where between June and November, southern right whales come to breed. You can stroll along the Cliff Path to spot the ‘fountains’ emitted from whales as they surface to breathe. 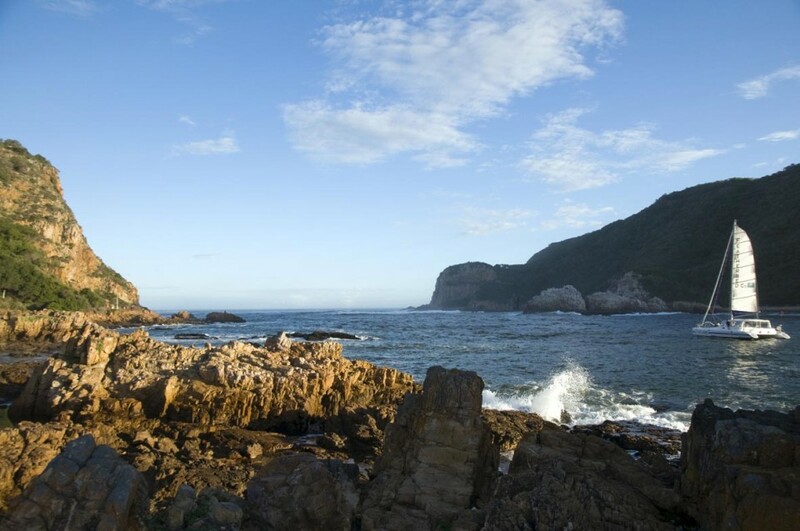 Outside of whale season the coast and Fernkloof Nature reserve offer spectacular walks. Wineries, art galleries and good restaurants adds sophistication to this town. You will spend two nights at the FrancolinHof Guest House, situated on the mountain slope. The house has beautiful views over the ocean and town. Cape Town is one of the most beautiful cities in the world. Situated between Table Mountain and the Atlantic Ocean, the city looks out over the Cape Peninsula and Robben Island. You have two full days to see Table Mountain, walk up Lion’s Head, visit Kirstenbosch Botanical Garden, the beaches of Blouberg or Camps Bay, explore Simons Town, take the ferry to Robben Island, go wine tasting, drink designer coffees or just shop at the V&A Waterfront. You will spend three nights at the Cactusberry Lodge. You drive to Cape Town Airport where you return your rental car before boarding your flight. 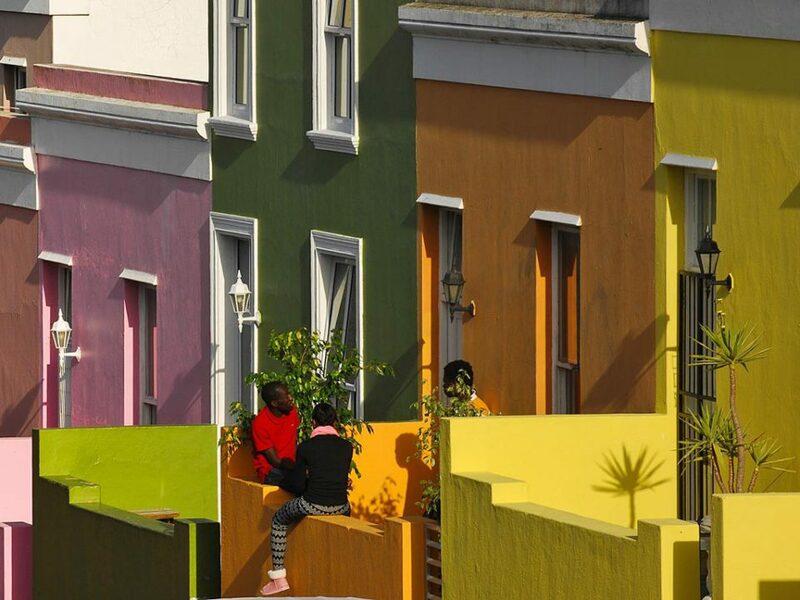 Want to spend more time in Cape Town? Let us extend your stay or book you on a connecting overland trip? 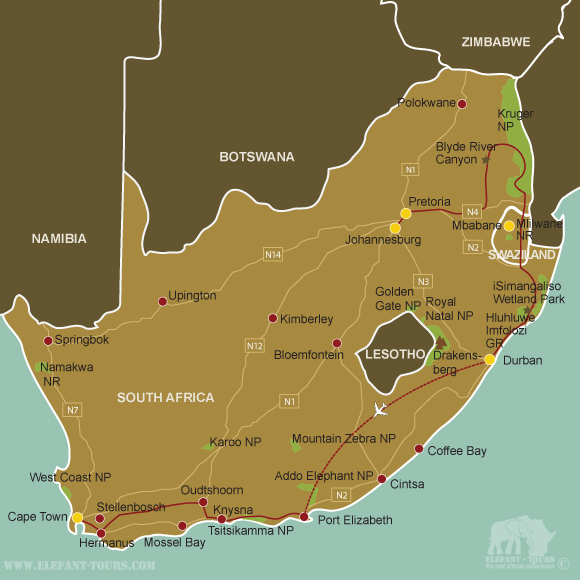 How safe is a self drive tour in South Africa? - In general South Africa is not a lot more dangerous than other countries in the world. Most crimes and acts of violence take place in the townships of bigger cities. Public areas around shopping centres, restaurants, banks etc. are very safe. Nevertheless you should stick to a couple of rules to avoid risky or dangerous situations. This includes staying away from dodgy areas, walking in the dark, carrying a lot of cash or expensive cameras on you, wearing flashy jewellery and leaving bags or valuables in the car. - South Africa in general has a very good infrastructure and with the exception of private roads and some roads in the national parks, most of the roads are tarred. - There are more than enough different and well-stocked shops available and many petrol stations also have a little convenience shop. - Most roads within the national parks are tarred or good gravel and all are accessible to rental cars. Please however take note that you have to stick to the rules of the national parks at all time. These include: remaining in your vehicle unless you are in a designated area, sticking to the speed limit of 50 km/h on tar and 40 km/h on gravel roads and not littering. - Most national parks offer guided game drives in open safari vehicles accompanied by a professional ranger. Night drives are especially recommendable if you are interested in seeing the nocturnal animals. All game drives can be booked at the camps directly. - Since most of the days are spent on the road or in the national parks, no lunches have been included. - As South Africa is well-known for its great cuisine and there is such a big variety of different restaurants, dinner has been excluded on most days. This allows you to make your own choices and to enjoy different dining experiences. Most restaurants offer an à la carte menu with different meat, poultry, fish, rice, pasta and vegetable dishes. - You can either exchange your own currency for South African Rand at one of the exchange bureaus at the airport or in town or you can go to an ATM and draw South African Rand at the current rate of exchange. Please note that you need a Maestro card or any credit card (VISA, MasterCard, American Express, Diners Club) and your pin code to draw money. - Credit cards are also widely accepted but as there are still some shops and petrol stations that do not accept credit cards, make sure you always have some cash on hand.